We own the information collected via the Website and we may use it for our own purposes, including marketing. Information You Provide Us. In the course of using the Website, we may ask you to provide us with a variety of information, including, without limitation, your contact information, such as your name, mailing address, email address, phone number or fax number; financial information, such as your account or credit card numbers; and demographic information, such as, without limitation, your date of birth or age. Website Usage Information. We may receive and store certain types of Internet usage information whenever you visit the Website, such as your click-stream data and your IP address. See “IP Addresses and Click Stream Data” section below. Information from Other Sources. We may receive information about you from other sources and add it to your personal information. Financial Information. We may collect visitor's financial information (like their account or credit card numbers). Financial information that is collected is used to bill the user for Pan American Conference registration fees and other services. Billing is processed at the time of purchase. Registration. Our site's Contact Us and registration forms (collectively, “Forms”) require users to give us contact information, financial information and basic demographic information. We may collect IP addresses and/or click-stream data. An IP address is a number associated with the service through which you access the Internet, like your ISP (Internet service provider), your company or your university. Standing alone, your IP address is not generally personally identifiable. At times, We also use IP addresses for purposes of system administration and to report aggregate information to Our advertisers and sponsors, for example regarding the frequency with which Our guests visit various parts of the Website. We may combine this information with personally identifiable information We obtain from you directly on the Website or any other of Our other websites, or from third parties. Click-stream data is information collected by Our computers when you request pages from the Website. Click-stream data may include such information as the page served, the time, the source of the request, the type of browser making the request, the preceding page view and other such non-personal information. When analyzed, this data helps Us analyze how visitors arrive at the Website, what type of content is most popular, what type of visitors in the aggregate are interested in particular kinds of content and advertising, and the like. As with many websites, the Website uses a technology called “cookies.” A cookie is a collection of information that gets stored on the hard drive of your computer when browsing the Internet. These small bits of code automatically identify your browser to the Website whenever your computer is used to visit the Website. Cookies also let Us know how many people visit the Website and where visitors go on the Website, as well as non-personally identifiable information, like how many times a user has been on certain pages. We may allow other companies that are presenting advertisements on some of our pages to set and access their cookies on your computer. Other companies' use of their cookies is subject to their own privacy policies, not this one. Advertisers or other companies do not have access to the Website cookies. The Website may use a variety of technical methods for tracking purposes, including Web beacons. Web beacons are small pieces of data that are embedded in images on the pages of websites. We also may use these technical methods to analyze the traffic patterns on the Website, such as the frequency with which Our users visit various parts of the Website. These technical methods may involve the transmission of information either directly to Us or to another party authorized by Us to collect information on Our behalf. The information from use of these technical methods may be collected in a form that is personally identifiable. Send you promotional material or special offers on behalf of the Organizers, Our marketing partners and/or their respective affiliates and subsidiaries and other third parties. Agents: We employ other businesses and individuals to perform functions on Our behalf. Examples may include Website analysis, analyzing data, processing fees for registration and other services, providing marketing assistance, and providing customer service. They may have access to personally identifiable information needed to perform their functions. Sponsors: We may share your name and email address with sponsors of the Pan American Conference. Aggregate Information: We may share aggregate information, such as demographics and Website usage statistics, with advertisers, sponsors or other organizations. When this type of information is shared, the other parties do not have access to your personally identifiable information. Affiliates: We may share your information (including, without limitation, personally identifiable information) with related entities to the Organizers. Third-Party Ad Serving and Audience and Traffic Measurement Services: We may use a third-party network advertiser to serve the advertisements on the Website or may use a traffic measurement service to analyze the traffic on the Website. Network advertisers are third parties that display advertisements based on your visits to this Website and other websites you have visited. Third-party ad serving enables Us to target advertisements to you for products or websites in which you might have an interest. Audience and Traffic Measurement Services allow Us to collect anonymous traffic and behavior information from the Website by monitoring anonymous visitor activity. Such advertisers, sponsors and/or traffic measurement services may themselves set and access their cookies on your computer if you choose to have your cookies enabled in your browser. Cookies allow third-party advertisers to show you advertisements or content. Note that any images (or any other parts of a web page) served by third parties in association with third-party cookies may serve as web beacons, which enable third parties to carry out the previously described activities. Other companies’ uses of their cookies are subject to their own privacy policies, not this one. Administrative or Legal Process: We or others may disclose your personal information to third parties without notice to you in order to comply with applicable law, law enforcement agencies, to protect our or third parties’ rights, or to protect the rights of other users of the Website. The Website incorporates reasonable safeguards to protect the security, integrity, completeness, accuracy and privacy of the personal information that We may collect and We have put into place reasonable precautions to protect such information from loss, misuse and alteration. Only those employees who need access to your information in order to do their jobs are allowed access. Our security policies are reviewed periodically and revised as required. www.panamdc2017.com cares about the safety and security of your transaction. We use high-grade encryption and the https security protocol to communicate with your browser software. This method is the industry standard security protocol, which makes it extremely difficult for anyone else to intercept the credit card information you send to us. Companies we work with to process credit card transactions also use high-grade encryption and security protocols. We store information about site visitors on servers located in the United States, and may also store such information on servers and equipment in other countries. Personal data collected within Switzerland and the European Economic Area (“EEA”) may be transferred to, and stored at, a destination outside of Switzerland and the EEA. The data We hold may also be processed by employees operating outside of Switzerland and the EEA who work for Us, one of our affiliates or one of our vendors. Such staff may be engaged in, among other things, the provision of support services. By submitting your personal data, you agree to this transfer, storing or processing. If your personally identifiable information changes (such as your email address or zip code), or if you no longer desire to have access to the Website, We will endeavor to provide a way to correct, update or remove the personal data you have provided to Us. 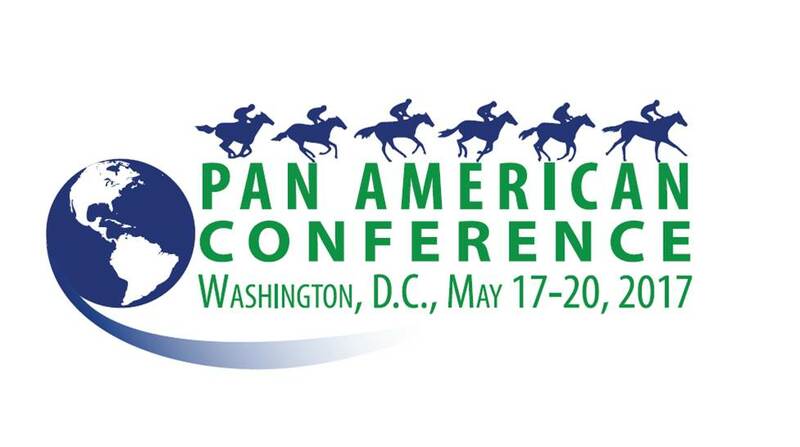 You may request that We do so by emailing Us at panamdc2017@jockeyclub.com, or via mail to: The Jockey Club, Attn: Pan Am DC 2017, 821 Corporate Dr., Lexington, KY 40503. We will respond to your request within ten business days of receiving your correspondence.